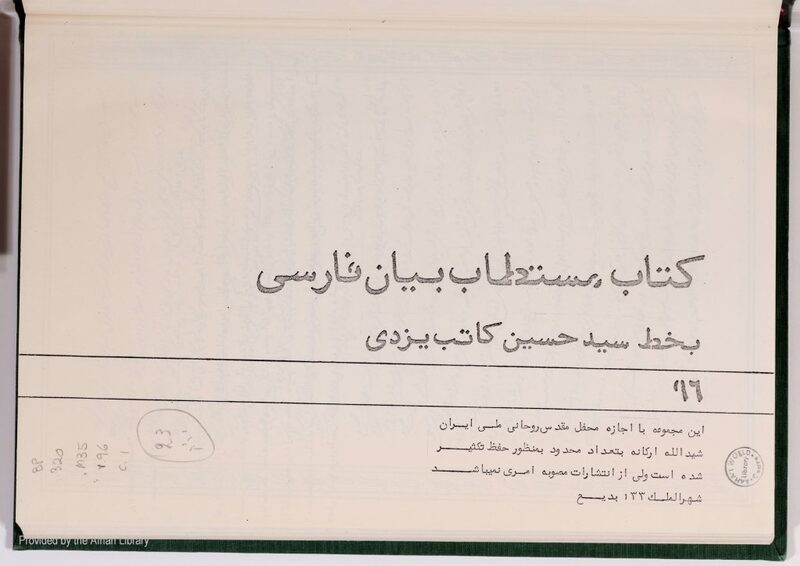 Description: Between pages 41 and 42, there is a considerable amount of the text missing: the last part of Váhid 2: Báb 11, all of 2: 12, 13, 14, 15, and 16, and the first part of 2:17. 229 pp. of ms. (232 pp. of PDF).